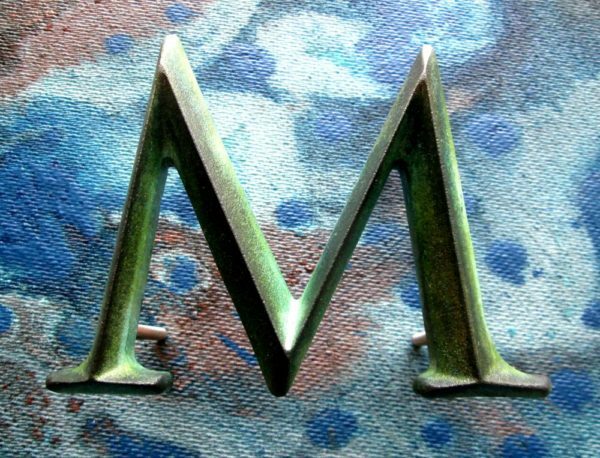 Traditional patina bronze lettering is the ideal solution for classic sign solutions where an image of longevity and permanence is preferred. 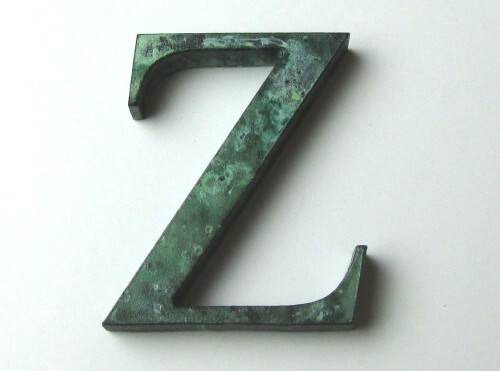 Letters and numbers are made from solid sheet bronze or they are cast from molds in a range of quality fonts designed for prestigious signs. 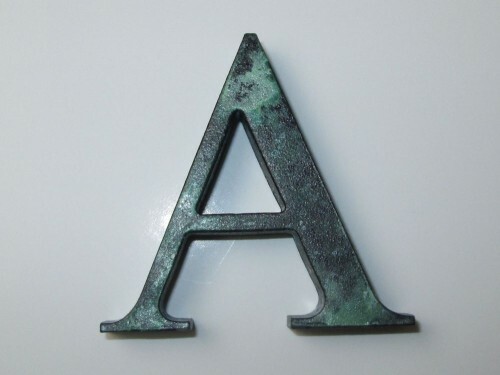 The patina finish is a chemical process and varies from one batch of letters to the next due to the nature of bronze and the chemical ageing process. 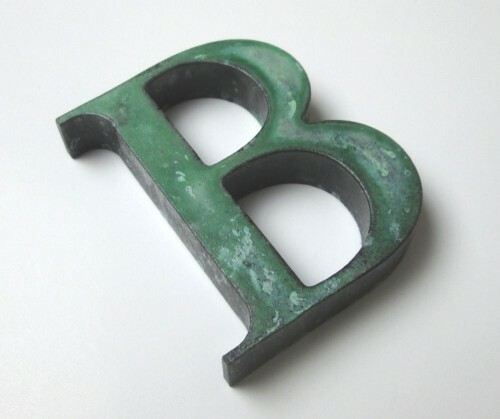 Letters are supplied with metal threaded rod fixings on the back. 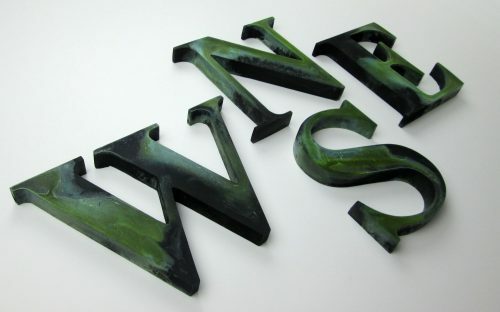 Any font may be custom cut to order in various sizes depending on your requirements. 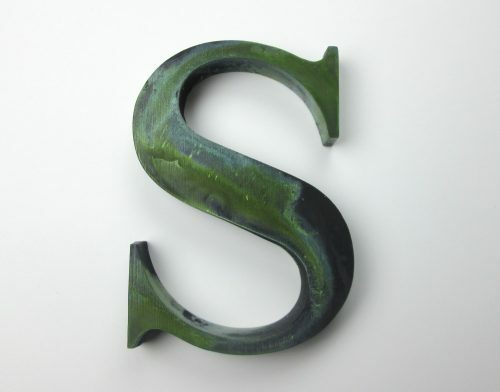 Cast metal letters are available from a professionally designed range of fonts. 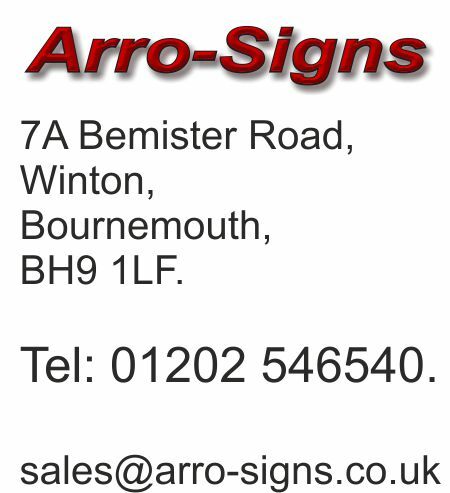 Contact Arro Signs for an estimate. 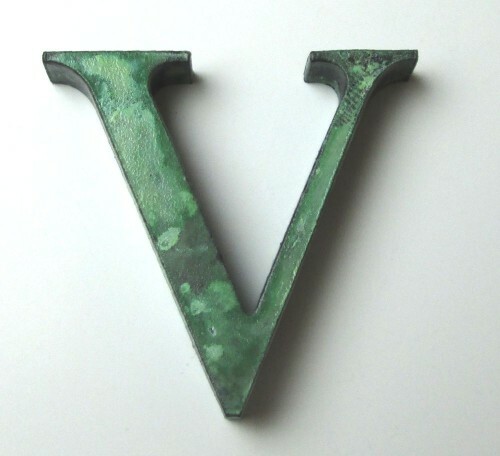 Letters 4″ (100mm) high, in an Old English text font, cut from solid 3mm bronze with a patina finish. 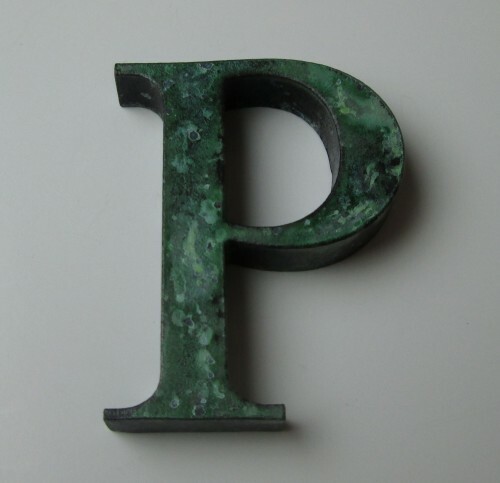 6″ high letters made from cast bronze with a patina finish. 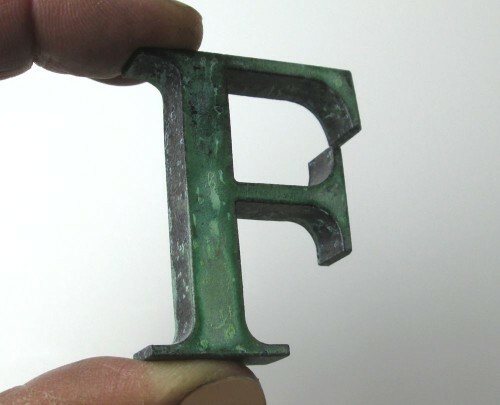 Times Roman Font. 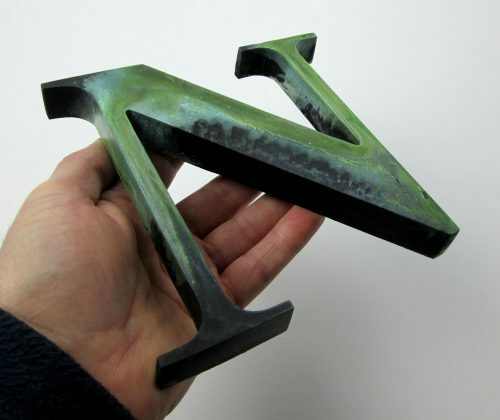 Cast Bronze Letters With a Patina Finish. 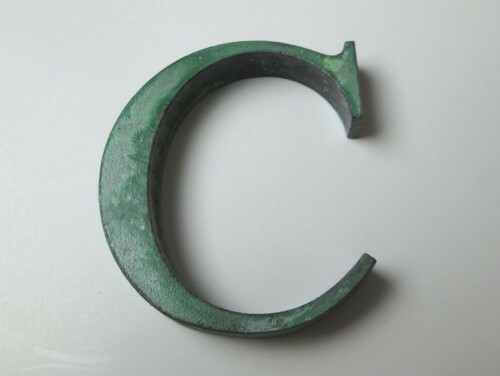 Trajan Font. 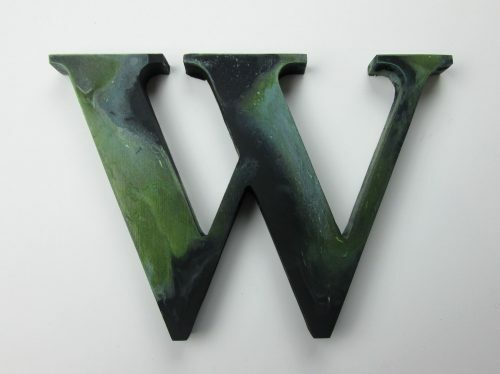 Prismatic. 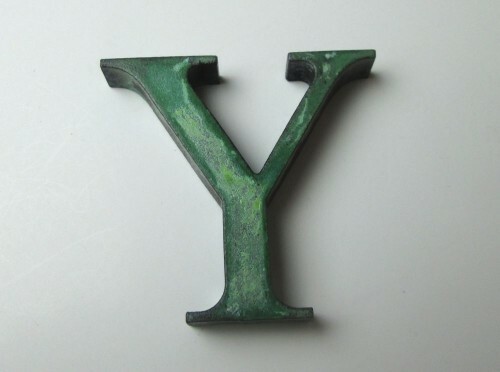 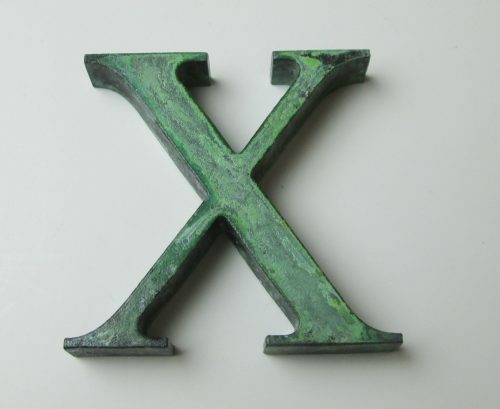 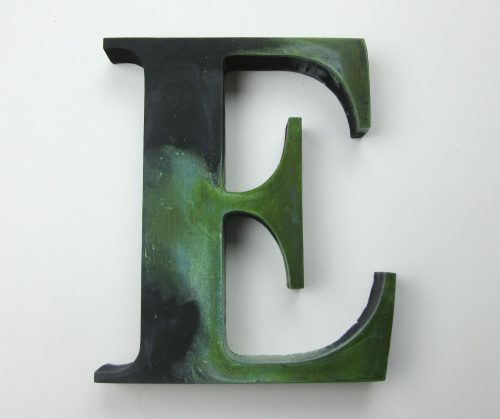 2″ high letters, 10mm thick, with a patina finish. 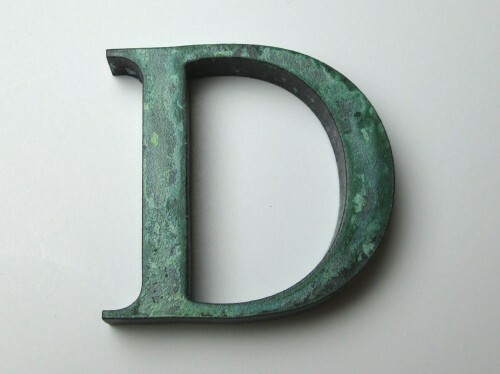 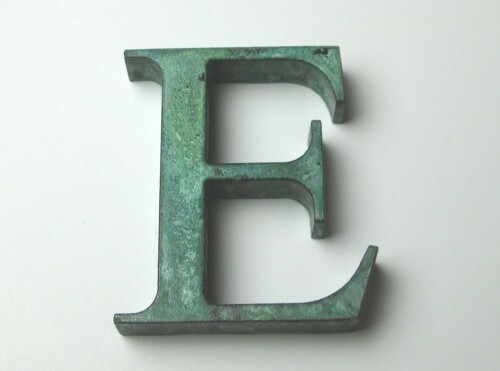 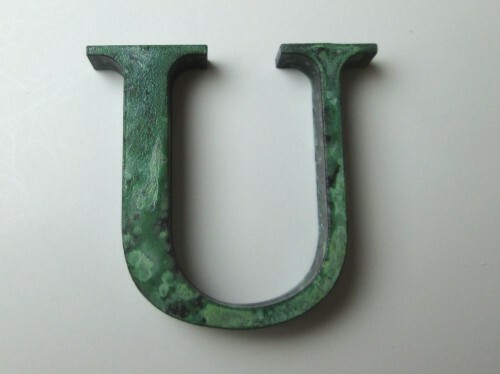 Example below shows a cast bronze letter with a verdigris finish. 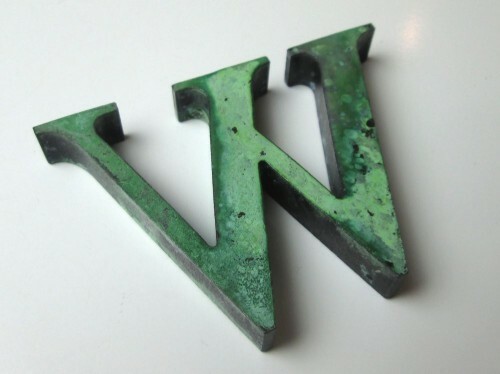 Patina bronze. 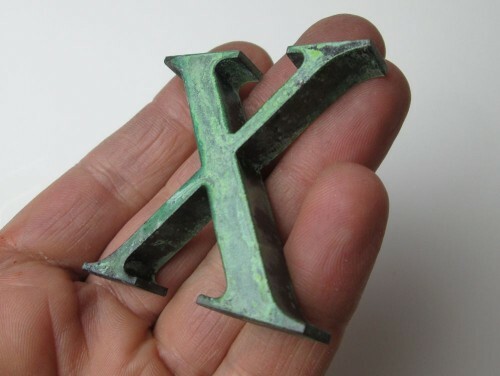 50mm high, 10mm thick, Times New Roman.